The competition schedule has been announced in this website. Please press the following button for competition schedule. We will not inform the participant individually. Please be reminded that it is estimated starting time, not the actual starting time. Participants should report to the “Registration Counter” 15 minutes before the starting time in the presence of valid identity documents. Wish you success in the competition! 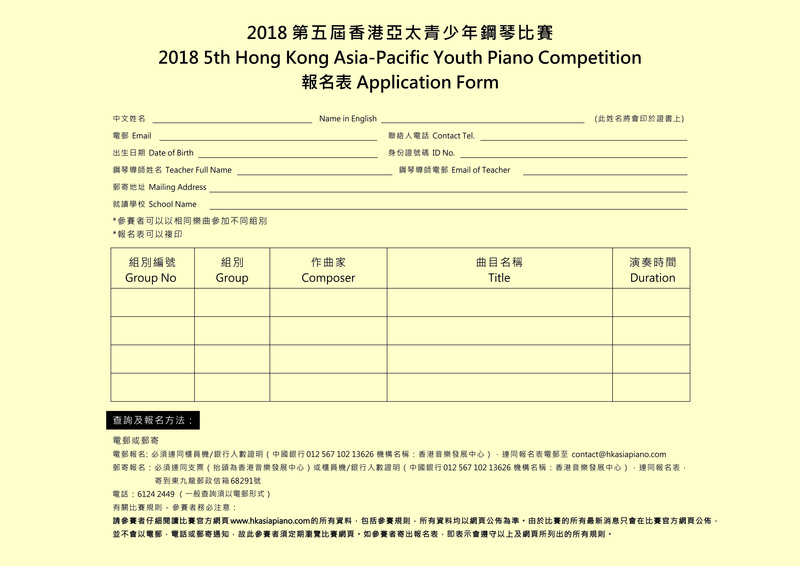 2018 5th Hong Kong Asia-Pacific Youth Piano Competition will accept application very soon.